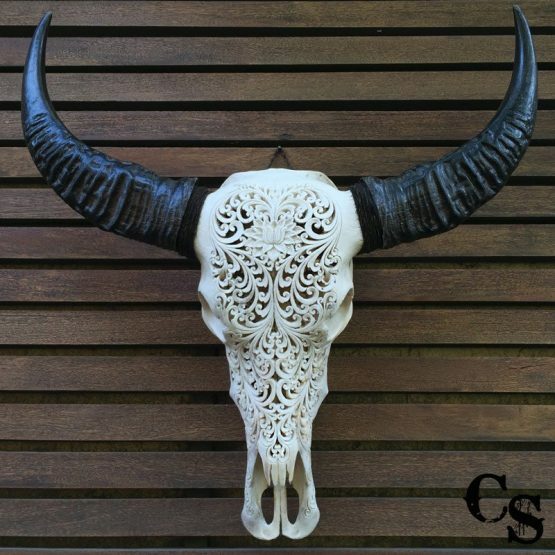 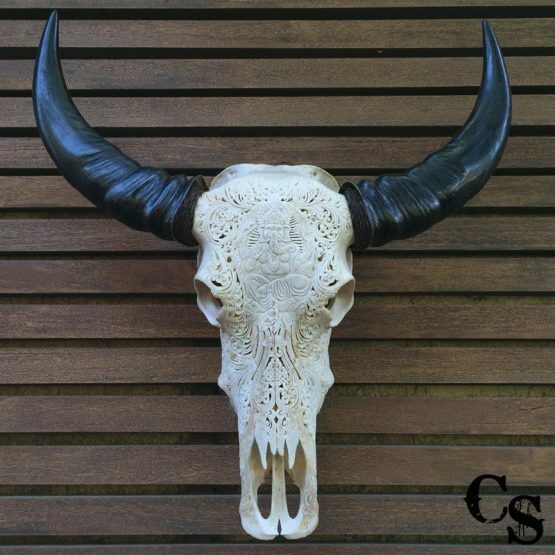 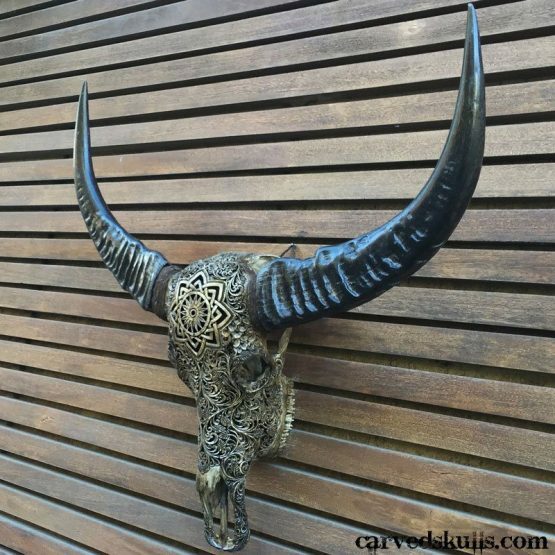 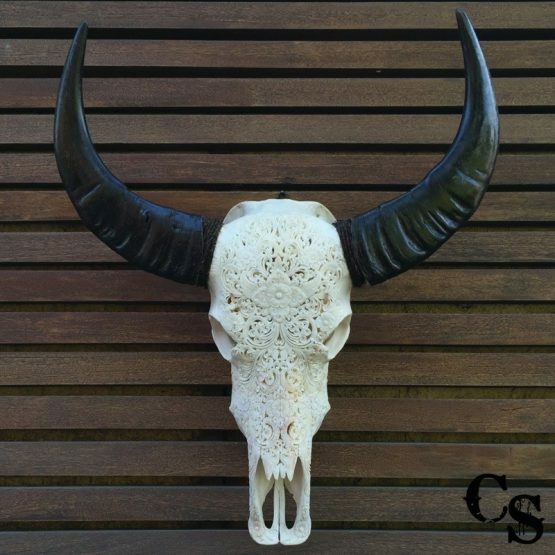 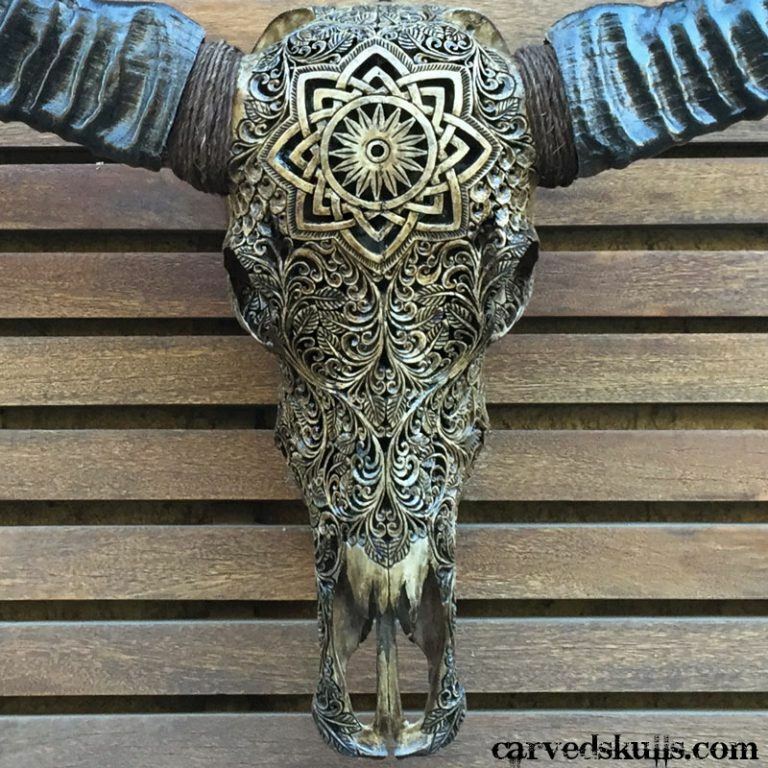 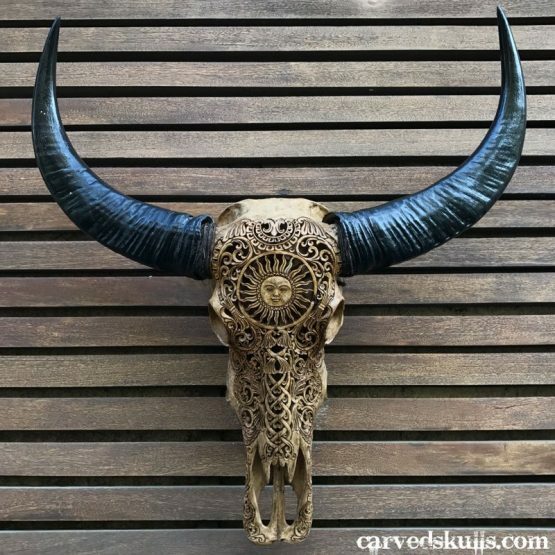 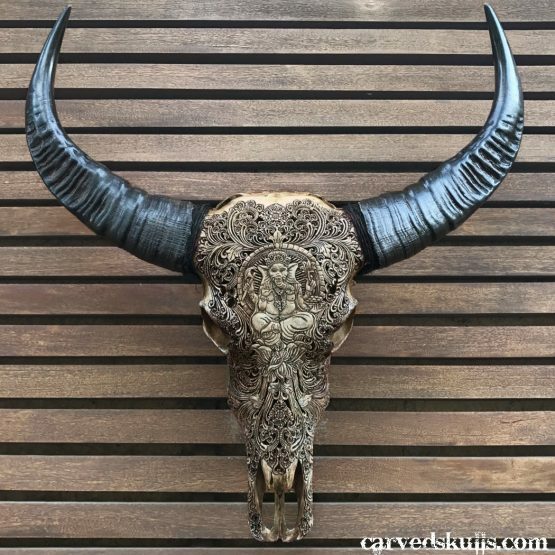 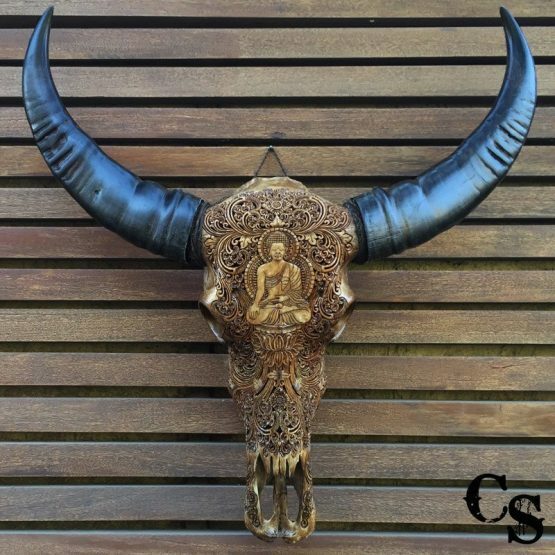 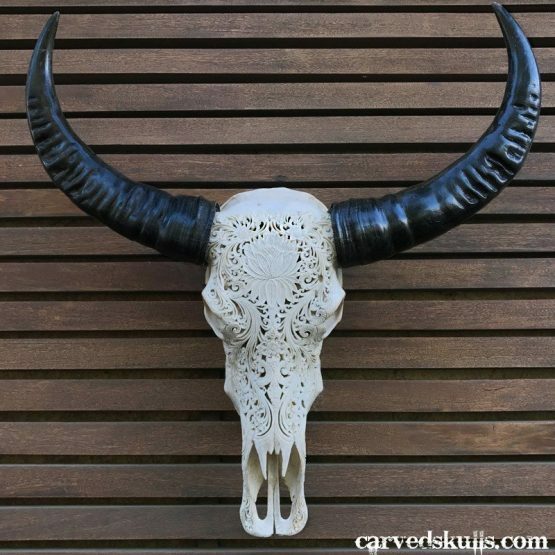 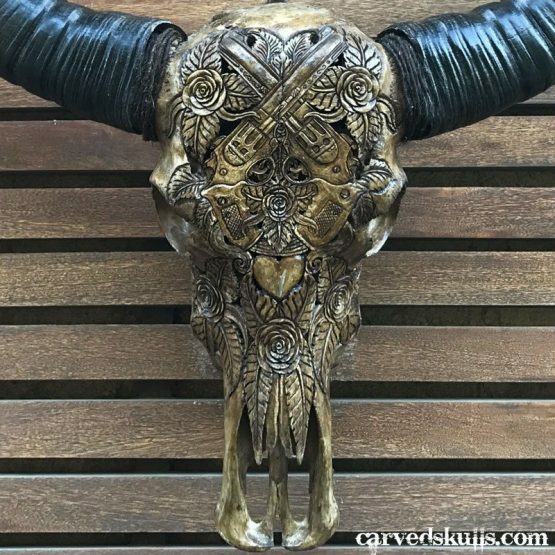 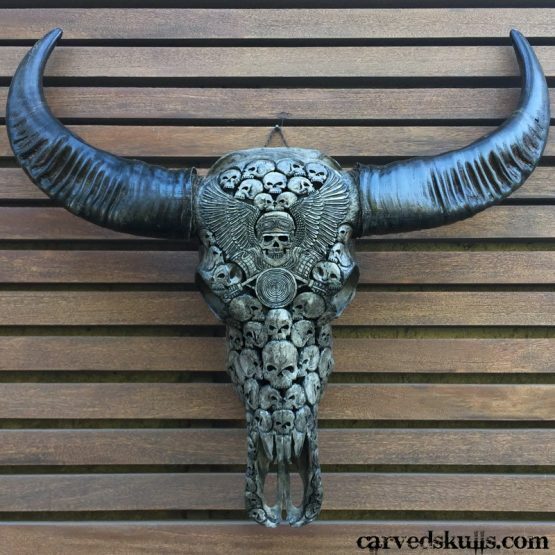 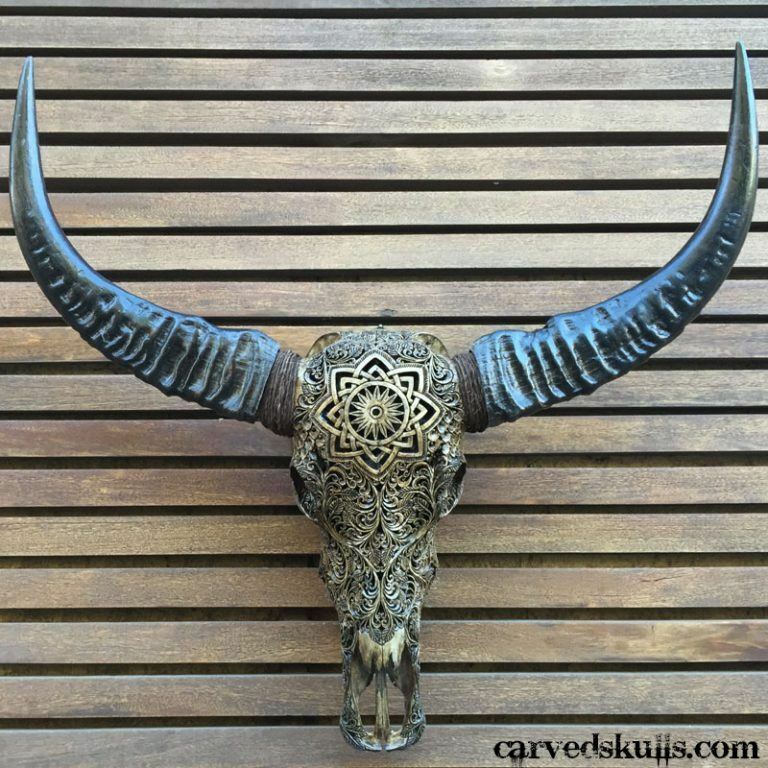 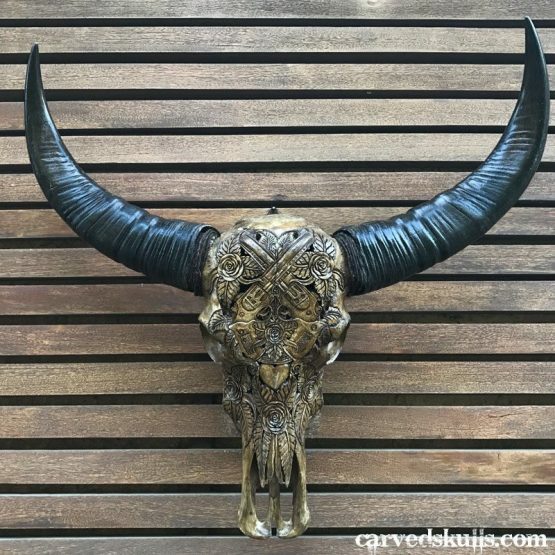 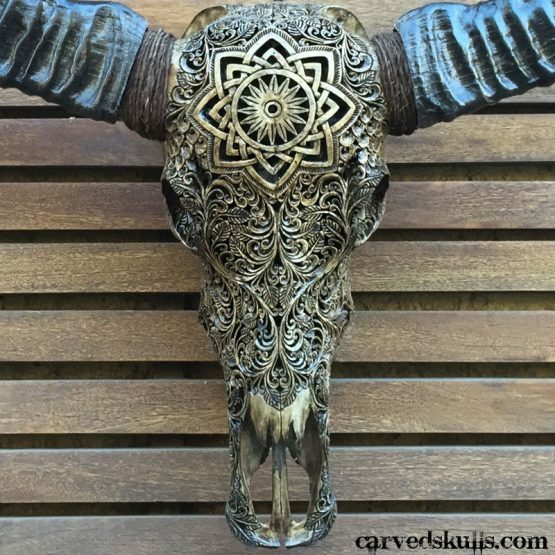 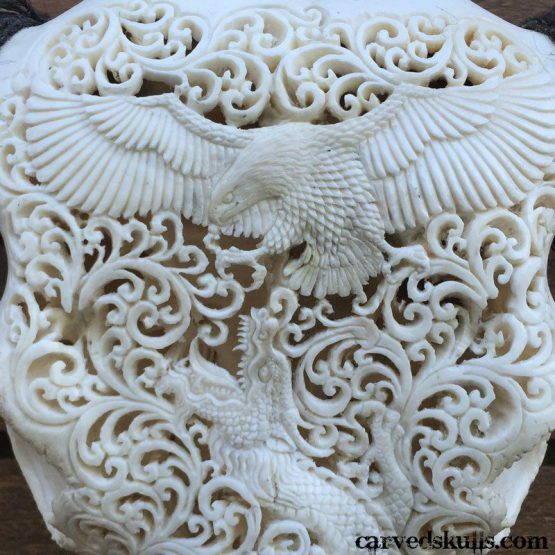 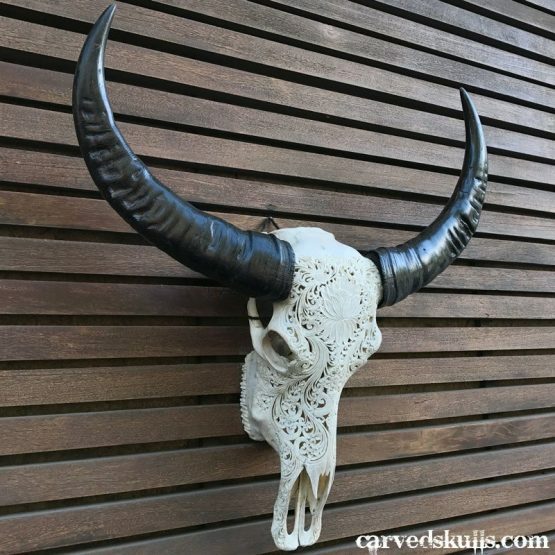 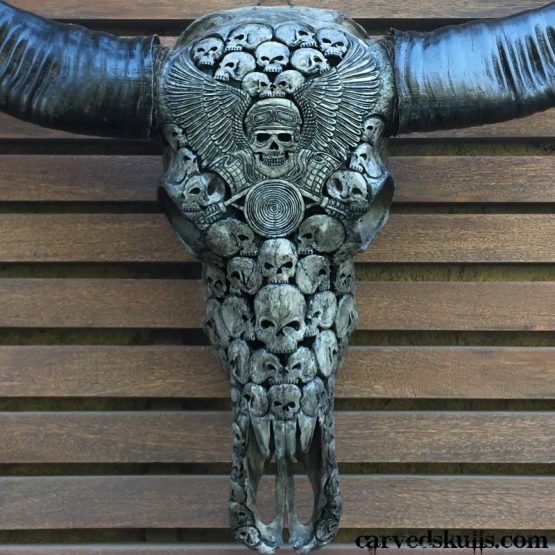 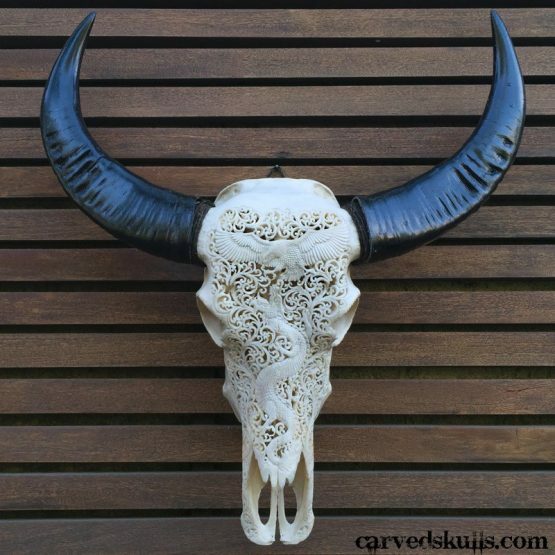 Meticulously hand carved with elegant sweeps and scrolls across a buffalo skull, this work of skull art promises to set your room décor plan apart from others. 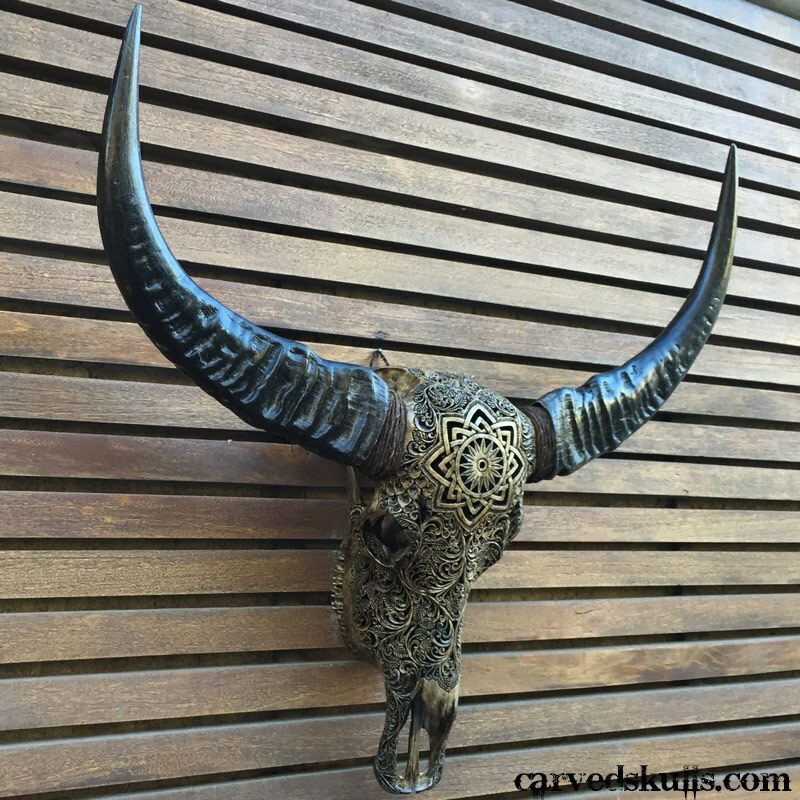 Unmatched for creating the warm, expansive feel of the country frontier, this exquisite wall mounted buffalo head is one of a kind. Impressive and captivating, the piece enhances every space, whether a rustic bar, a stone fireplace, western or country home décor.